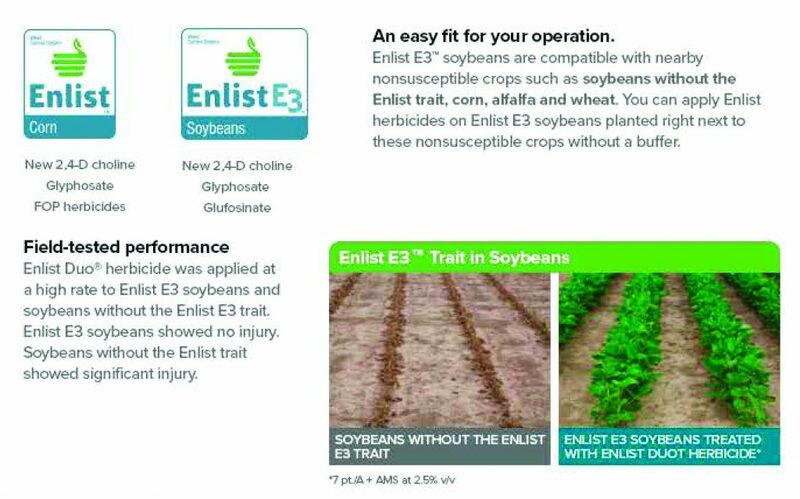 The Enlist weed control system adds tolerance to new 2,4-D choline, building on the glyphosate system in soybeans and corn. It also adds tolerance to glufosinate in soybeans and to FOP herbicides in corn. By expanding tolerance and delivering unrivaled weed control, the Enlist system helps you maximize yield potential. 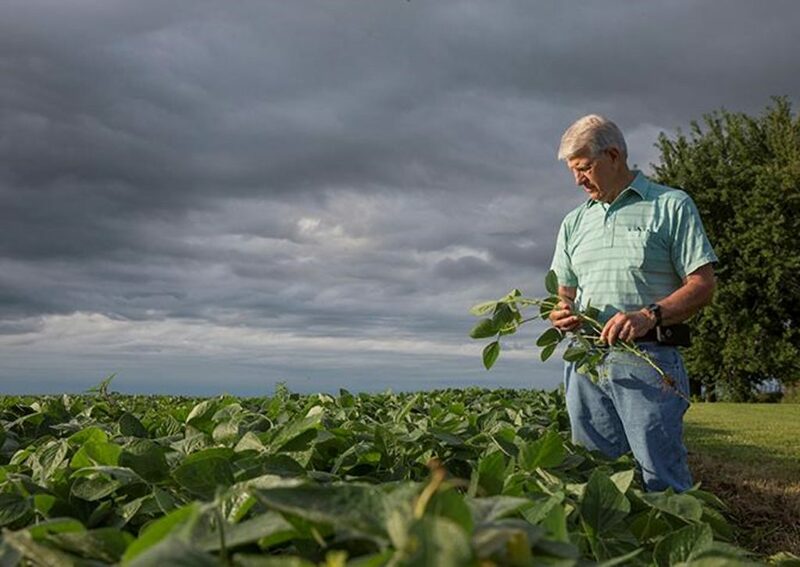 Our job is to find the best genetics and the best technology that’s going to fit that farmer’s field. From a genetic standpoint, I’m continuing to be impressed with the offerings with Enlist. 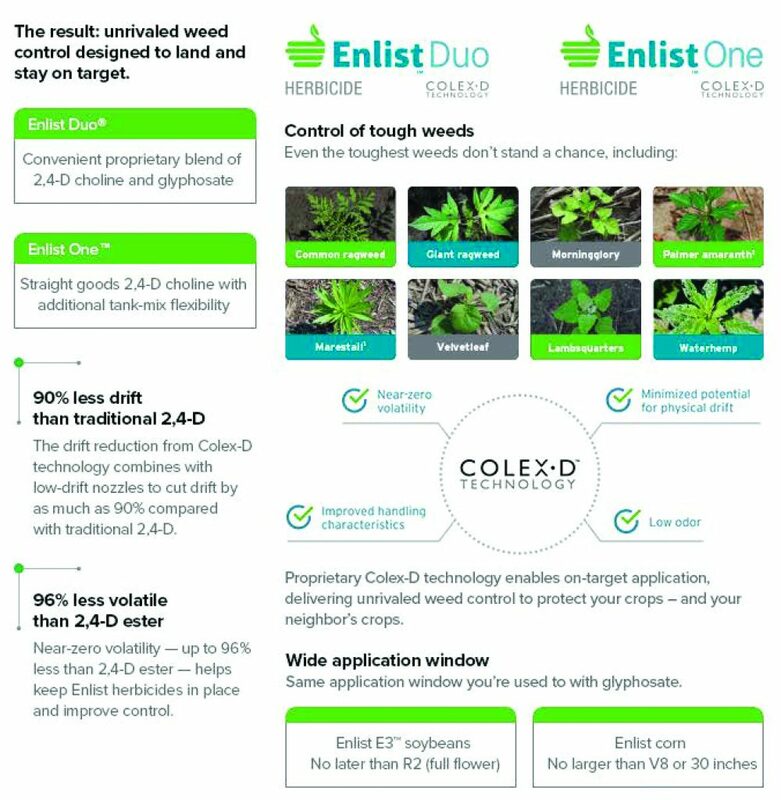 Made for use with soybeans and corn with the Enlist trait, Enlist Duo and Enlist One herbicides each feature new 2,4-D choline with Colex-D technology. I was really impressed with the near 100% efficacy on weeds in my test field.